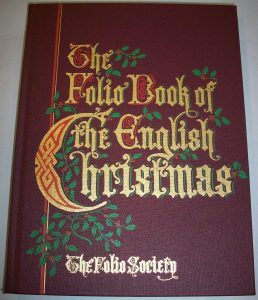 John Holder: The Folio Book of the English Christmas. 254 printed pages. Coloured and black & white illustrations. Without inscription. Published by The Folio Society London 2002. A lovely, clean copy in box. Would make a great Christmas present! This book plus hundreds more can be found at Cornucopia II!